Routefriend has just launched station pages for all 4000 stations in our network. This includes pages for every station and stop served by Amtrak, BART, BoltBus, Connecticut Limo, Coach USA's Newark Airport service, Dartmouth Coach, Fung Wah, GotoBus, Greyhound, Megabus, Metro-North, New Jersey Transit, Peter Pan, RedCoach, Shore Line East, Skyline Shuttle, Tri-Rail, VRE and Washington State Ferries. Phew! Many of these providers, such as Megabus and Boltbus, don't have individual station pages of their own. Hopefully Routefriend's pages can fill that void. 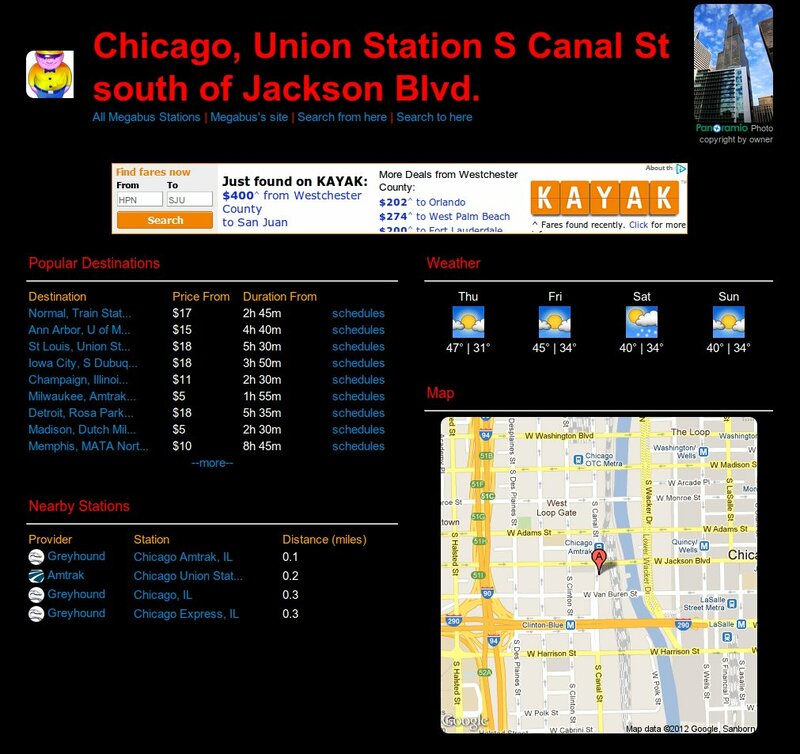 We include weather, a map, a picture, popular destinations from the station and nearby stations. We are also working to include live departure information. You will find live departure information already available for all Metro-North stations (see Grand Central Station) as well as select Amtrak stations (for example, the New Haven Amtrak station). We hope this makes your travels a little bit easier. If there is more information you would like to see around the stations, reach out and let us know.